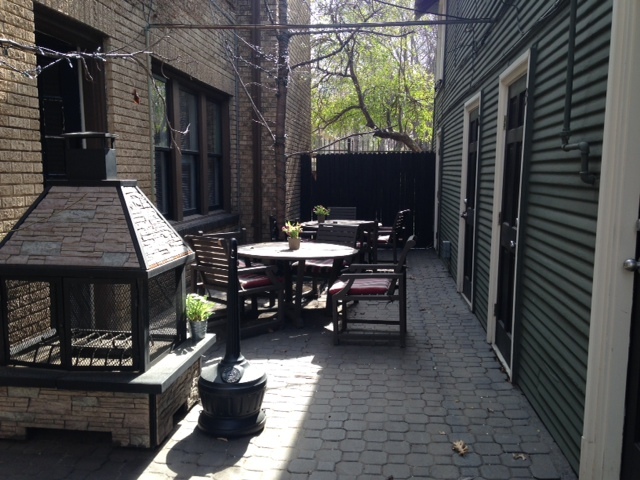 Historic buildings can often times have narrow areas between buildings that are considered to be courtyards. The transformation of this one was incredible. Adding artificial boxwood to the wood fencing and artificial turf over the pavers made the courtyard look much larger. The wood furniture turned out to be teak wood and very expensive. A fresh coat of white paint, colorful cushions and a new layout completely transformed this space.